At Happenings Party Rentals we take great pride in our commitment to providing our customers with a large selection of well maintained rental items. We continually add items that meet the current trends in the special event industry, and regularly replenish items to satisfy the needs and demands of our clientele. If there are items that you do not see, but are interested in, please let us know. We may have already added them to our inventory or know where to source them for you. We have tents for every happening. With our wide selection, you can find the tent size and style perfect for your event and location. From large scale tents that accommodate hundreds to canopies and arches for that decorative touch, our inventory is vast and diverse. Click here to learn more! Our full-service approach enables you to plan your entire event in one stop. 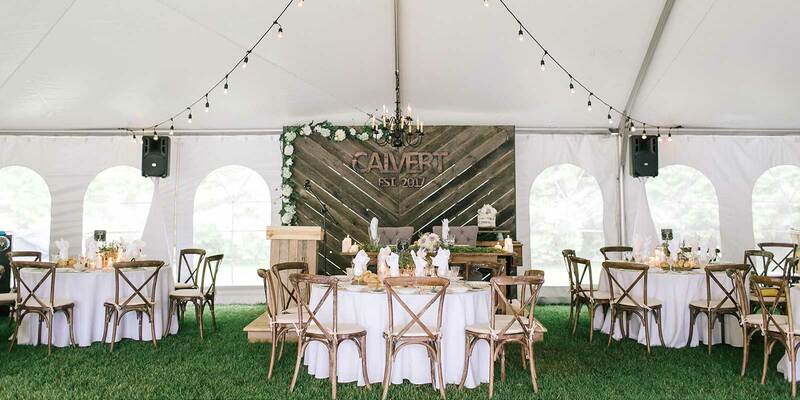 We have the chairs, tables, linens, place settings, serving items, food preparation tools, fountains, barbeques, centre pieces, games, and numerous other special items that it takes to create the atmosphere you want and treat your guests to style and comfort.